Believe it or not, I have never taken the KLIA Ekspres before in my life! As such, during my recent trip to Bangkok, I decided to give it a try. For the uninitiated, KLIA Ekspres is a premium, non-stop high-speed train service linking Kuala Lumpur Sentral (KL Sentral) and Kuala Lumpur International Airport (KLIA). 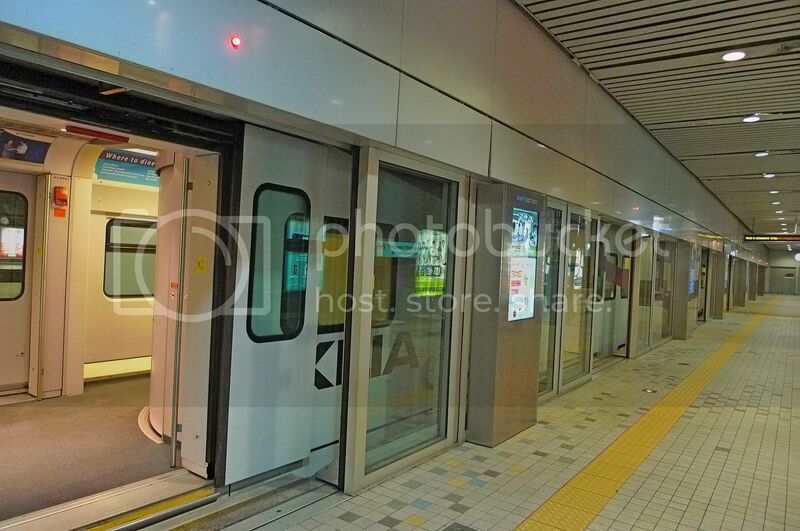 It shares the line with KLIA Transit, which stops at 3 stations along the way. My friend and I reached KL Sentral early in the morning and made our way to KL City Air Terminal (KL CAT) within the KL Sentral building to purchase the tickets. The tickets cost RM35 per person one way. After getting the tickets, we walked through the turnstiles, down the escalator and reached the platform. A train was already there but even if we missed it, there would be a train departing every 15 minutes during peak hours or 20 minutes during non-peak hours. There were no crowds at all which I liked a lot! KLIA Ekspres is operated by Express Rail Link Sdn Bhd (ERL). You can see the company's logo on the train below. Stepping inside, I could see the interior was clean and spacious. I can say we almost had the whole train to ourselves as there were just a small number of passengers. The seats were comfortable and they even have TV screens! 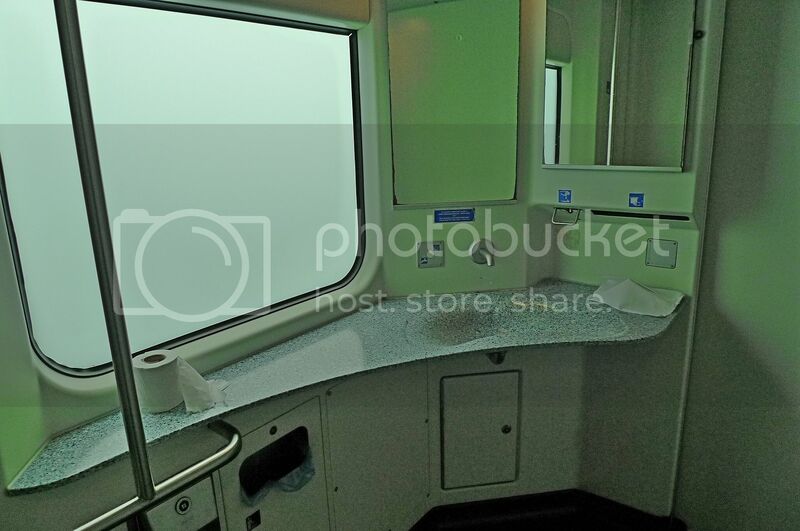 Since this was my first time on the train, I decided to check out the toilet! It was not bad but I did not use it. Like a child, I had some fun pressing on the red button to open and close the door. I mean, how often do you see a toilet door slide open or close at the push of a button? Haha! 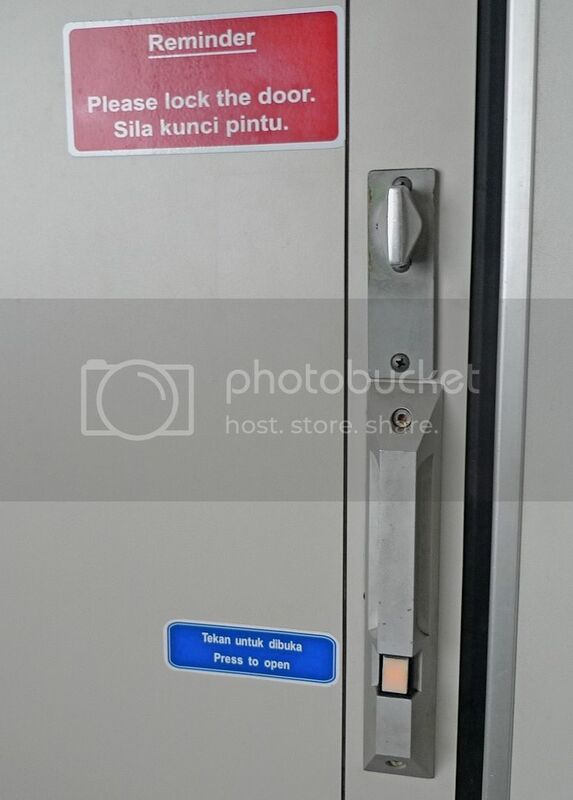 Of course, once the door is closed, do not forget to lock the door as anyone outside the toilet can still open it by simply pushing a button located outside. This must have happened a lot of times in the past as can be seen by a reminder notice being placed there! The train ride was smooth and comfortable. I enjoyed sitting by the window and watching the views outside. I even took a couple of photos. 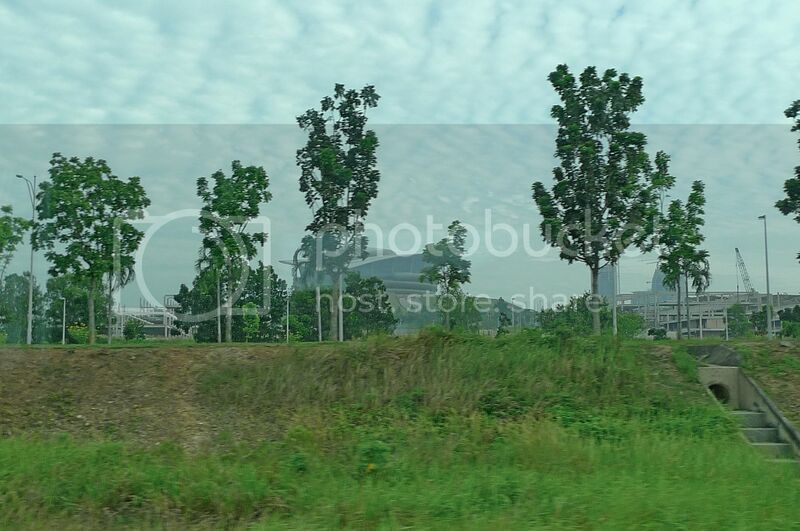 At one point, we passed by Putrajaya. 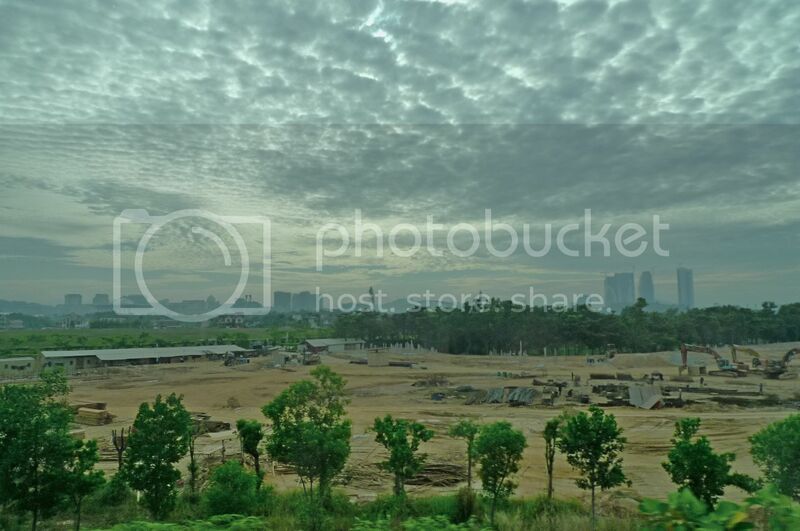 Can you spot the Putrajaya International Convention Centre (PICC) in the picture below? Before long, we reached KLIA. I timed the ride. It took us exactly 28 minutes to reach KLIA. Very efficient indeed! 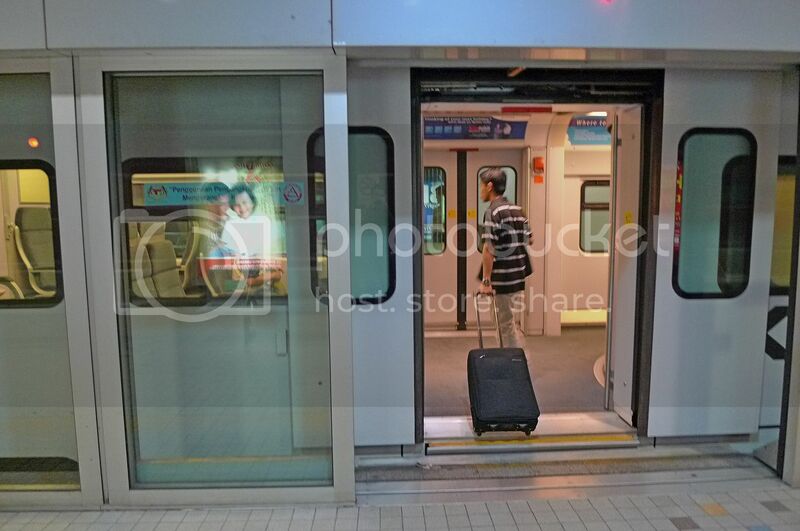 The good thing about KLIA Ekspres is that it stops inside the KLIA building which is pretty convenient. Walking inside KLIA, I saw this - a panda bear!! What is a panda doing in an airport? Stay tuned for the answer in my next post coming right up! lol is that ur panda bear?? I think I only been in KLIA Express twice in my life. For me, travelling alone, I'd use KLIA Express but with my family, using Airport Limo is more economical. yes, KLIA express is very convenient, but now since IPoh has YOYO bus services to KLIA/LCCT, I never need to go KLIA express anymore..
You are so Jakun. Hahaha :D Press again and again...hopefully the door can still function. It is cheaper and faster to travel via KLIA Ekpres if travelling alone than getting someone to send off by car as the time, toll, petrol, tyres etc would cost much more.. 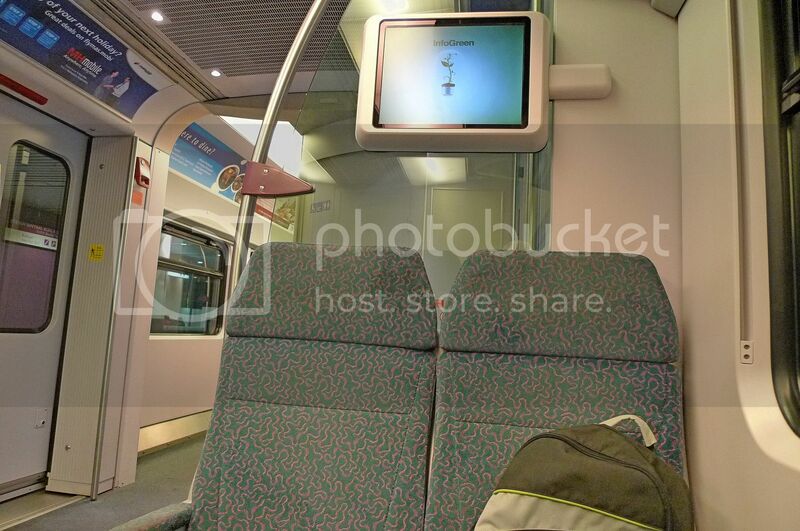 The KLIA Express is a great way to travel. Only problem is when you reach KL Sentral, there aren't taxis that will fetch you. I wonder why this problem is still persisting! Yes, if travel in a group or with family, going by cab or airport limo is cheaper. bananaz, thanks! 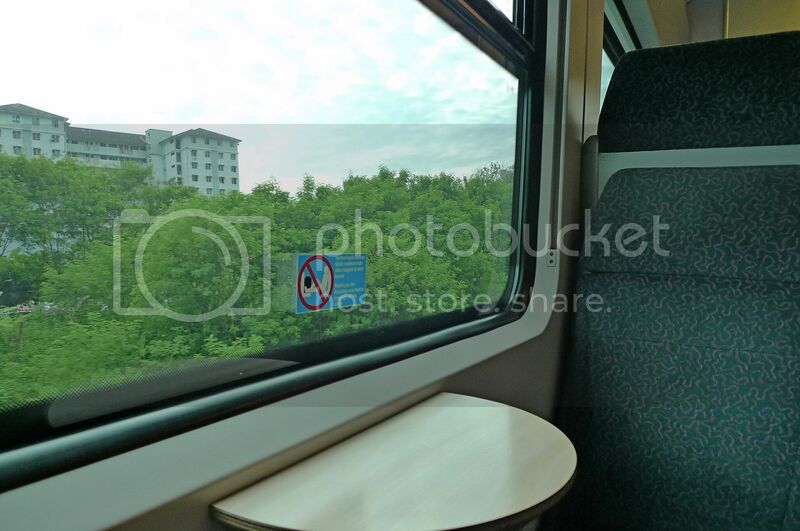 Yes if you travel alone, it's definitely cheaper using KLIA Ekspres. Siting a cab would cost you about RM70-RM80. mei teng, oh they must solve this taxi problem! Hi foong, finally get to sneak again! The toilet is very decent and good enough size compared to place toilets. I wonder what's the mystery behind that Panda!? uh-oh never take this before. lol! but it looks quite luxury aye? 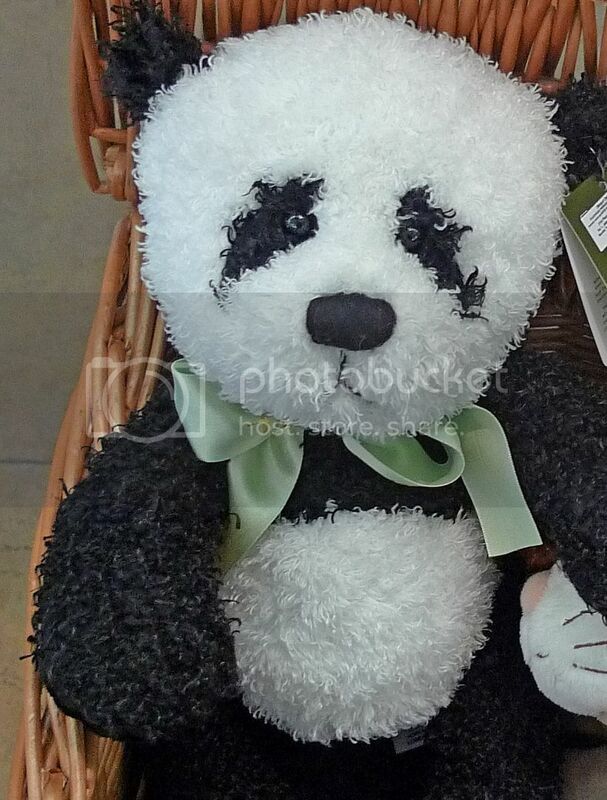 eh the fluffy panda so cute!! urs?? And I thought KLIA is an airline. i have taken the KLIA Express many many times already.. no doubt it's the best way to commute to KLIA..
.. provided that you are alone.. if you have a group of people, better do a car pool as that is more economical..
i heard if you have a 30mins to spare, you can actually take the KLIA Transit and stop at Putrajaya, and then from Putrajaya take the KLIA Transit again to KLIA.. with this, you can save like RM10 train fares..
what you are doing in KLIA?? or course you are taking a flight to somewhere else lor..
not only you! I also haven't been on an ERL before!!! looks like a nice ride! 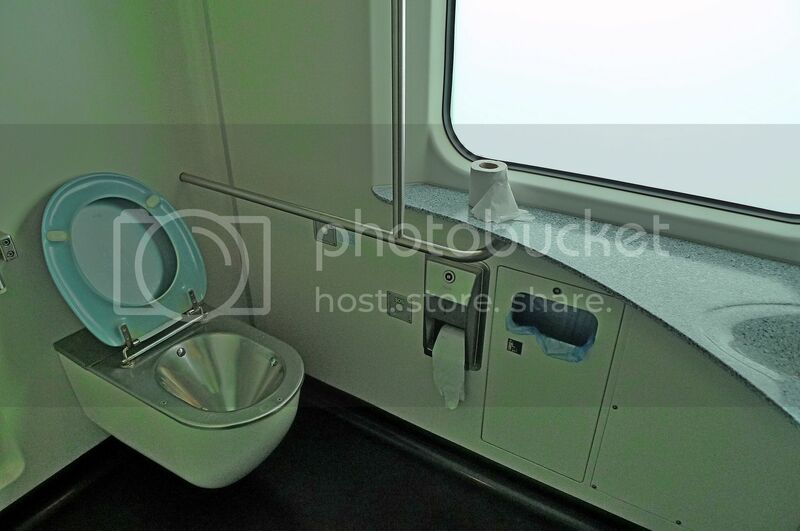 Didn't know KLIA Express has toilet one. 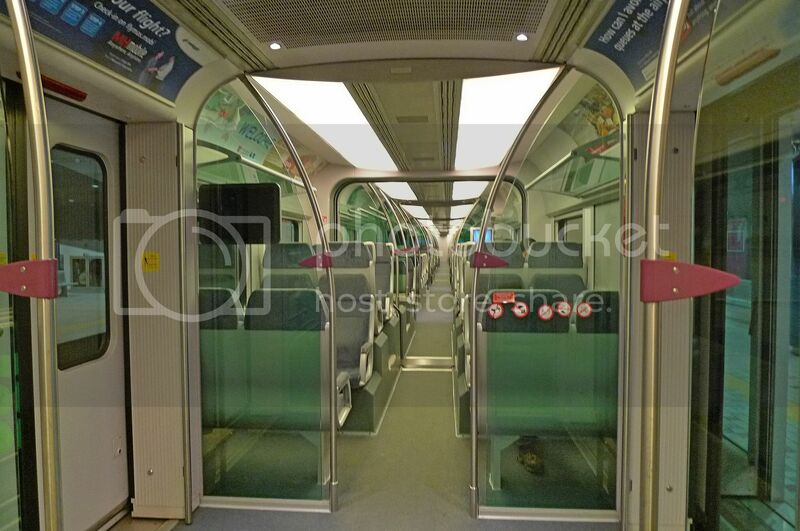 And the bathroom looks clean so okay la for a 28-min journey yes? 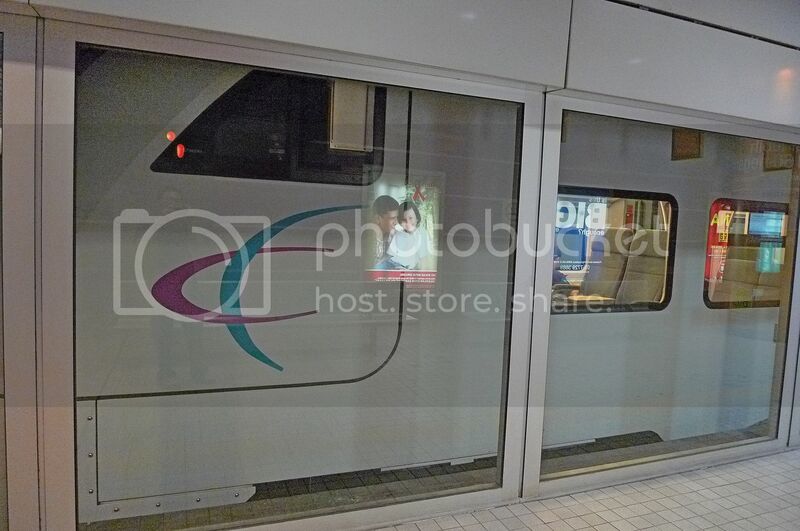 KLIA Ekspres is often considered as one of the best railway services in the world. It is indeed a wonderful experience to be a part of this ride. I think the journey was very comfortable.